It is a common phenomenon for agents selling insurance policies to hear questions seeking benefits of buying auto insurance. 5 Just in Case….Something Does Happen, Usually Does When You Least Expect it. How will buying auto insurance help buyers of the policy? Will there be a back payment in the form of interest on their purchases? Will there be a refund in case of an accident-free year? How can buyers bargain for payment of low premium on an automobile insurance policy? Most often than not, people ask these questions about auto insurance because they resent buying the policy. Some of the tips mentioned by Progressive are excellent. In fact, many people could not see any value in buying car insurance because they have never been involved in a car accident in years to warrant a claim. To them, buying auto insurance is counter-intuitive, more like a waste of money. Note: Your typical family will spend $6,000 per year on auto insurance. Note: A driver which refuses to pay for car insurance will incur bills into the thousands of dollars. This will continue to go on as long as they drive without insurance. Furthermore, a driver will incur financial hardships through higher premiums for 3 to 5 years and in some instances even longer. The end result, an uninsured driver may pay less in the short run, but will pay much more in the long run. If you have a damaged vehicle it will help you buy a new (or newer) one. You will be able to buy a new car on loan from the bank. If you have full coverage buying a policy will compensate you if your car is damaged or stolen. If you fall into this category of people and you are yet to see any genuine reason to buy insurance for your car, we advise that you invest a little of your time to read the content of this page. You may want to have a rethink thereafter. In this post, we highlighted some of the reasons why buying auto insurance will benefit you irrespective of whether you are worried about accidents or not. It’s natural, once you have your car covered, you will certainly have worry less about eventualities. If you don’t have insurance coverage for your car, it is possible your mind will always be disturbed each time you are driving out of your garage. There is always a thought of something terrible going to happen as you drive about. Having an insurance policy in place, however, gives you a peace of mind. In fact, you have one less thing to worry about, making you sleep better at night. Although you will still be the same person driving while without the coverage; however, having a policy in place helps you to relax better while driving and you also have greater control. Just in Case….Something Does Happen, Usually Does When You Least Expect it. No one knows anything for sure. The policy you buy today comes as a buffer tomorrow in case of any eventuality. You don’t pray to have an accident, no one does. But, an accident is so named because it is something you never expected. It just happened all of a sudden. An accident can happen irrespective of your expertise and consciousness while driving. Hence, the onus is on you to guide against unexpected accidental conditions that may occur in the future, by buying automobile insurance policy to cover the damages you might incur. So, buying auto insurance will help you, just in case. One of the things that make life tick is the willingness for individuals and corporate entities to adhere to social and professional ethics. Buying an insurance policy might not necessarily be a conformity to laws but as a form of compliance with social or corporate norms. Of course, it will not be ethically right for you to expect people to pay you a liability when you are not prepared to offer the same for the other road users. So, for ethical reasons, which might not necessarily be legally mandatory, individuals and corporate entities would want to have their vehicles insured. It is simply a matter of accepting responsibility. Naturally, it is your responsibility to pay for the damages you cause to others. So, having your car covered is an affirmation that you have accepted responsibility for whatever damage you cause to other road users. 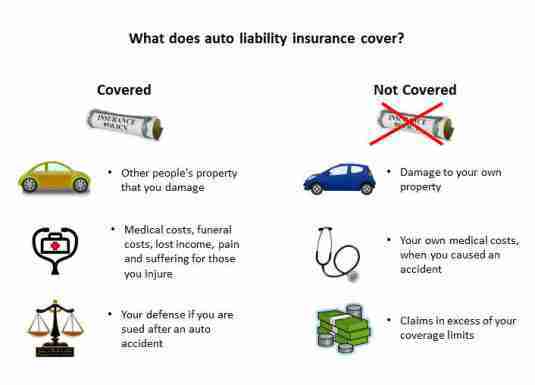 Having auto insurance on your vehicle will, however, remove the burden of the liability from your shoulder. After all, the money you will pay to buy the insurance policy will be far lesser than the responsibility the insurance company will be taken off your shoulder. Note: These are the average car insurance rates by age and how they drop over time if you keep a clean driving record. There are other factors not taken into consideration such as discounts, credit, or bundling a policy. If you have your damages paid for by the insurer, you will feel responsible, and the guilt that would have surface peradventure you don’t have the insurance will not be there at all. Dealing with other people when it comes to paying a claim for damages is not easy. Some third party could be quite unreasonable with outrageous faking of claims, wanting you to pay more than the market value of the damages. Nolo is great resource for third party claims. Pushing such people to your insurer will save you a lot of time, energy, and trouble. All you have to do is to give them your insurance details and let the third party be dealt with by the insurance company. Buying auto insurance will save you from having to argue endlessly on the value of a claim. Undoubtedly, buying auto insurance can help you in so many ways. If you have resented buying a policy, it’s time to consider the above-mentioned benefits and look at the positive sides. Perhaps, you can now see that the insurance companies are there to help you solve many concerns and worries you face on a daily basis while driving on the road. If you have been able to see the essence of buying auto insurance after reading this article, we recommend that you take your time to find a better deal where you pay a low premium on your next policy.